When I was a kid, I wanted nothing more than to be Raven Baxter. The That's So Raven character had two amazing best friends, a beautiful home in San Francisco, the ability to predict the future, and an absolutely incredible wardrobe. Cue instant jealousy! On days when Disney Channel would air Lizzie McGuire and That's So Raven in one afternoon, it was almost too much for my preteen fashionista heart to handle. Raven's antics were my guide to life, from aspiring to a career in fashion design to using "ya little nasty" as an everyday exclamation of disgust. Even today, I envy Raven's sense of style. Long before Ryan Gosling rocked the denim-on-denim look, Raven Baxter showed audiences that a jean jacket was too cool for school. There's nothing wrong with matching your periwinkle blouse to your periwinkle choker and your periwinkle headband. Raven was a plaid queen. Her perfectly paired jackets and blouses are a major inspiration when considering wearing this oft-intimidating print. If anybody could rock this hot pink furry jacket, it was Raven. What animal is it modeled after, anyway? 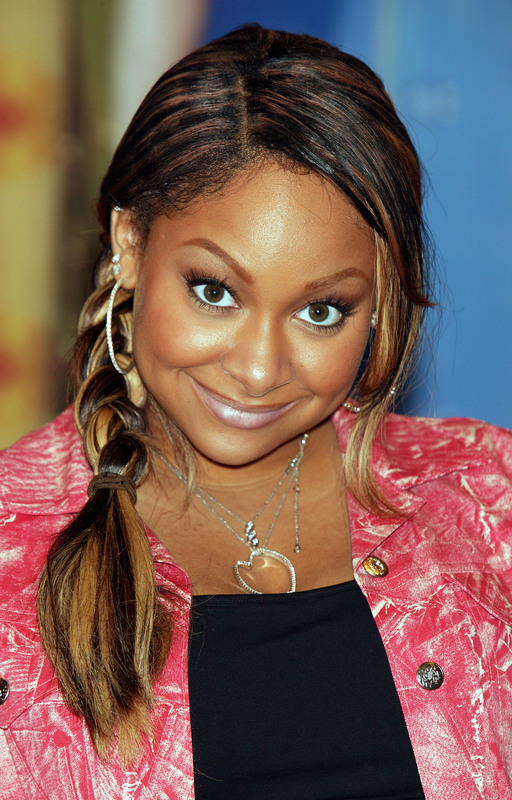 Raven's accessories were always on point, but her hoop earrings were an entirely different level of amazing. Raven showed viewers that 1970s outfits were cool way before American Hustle. 8. Did I Mention Pink Faux Fur? Thanks for being such a fierce style inspiration, Raven.